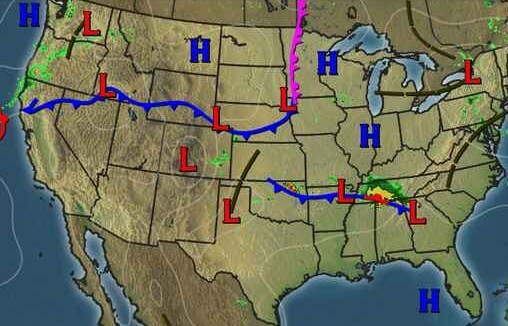 Welcome to June, the most depressing month for sports in central Indiana. After the 500 and the Pacers playoff run the sports scene is in hangover mode. Now we enter the season with heat waves, overhyped movies, and the best shows on television are about pawn shops and storage units. Thankfully there are people who understand the dire situation. They are the writers for college football preview magazines. June is the month where college football goes from the back burner to the anticipation of the new season. It is three months away, but the predictions can start now. The “experts” are forecasting plenty of “Ls” headed to Muncie in 2012. The season calls for partly cloudy skies with a 100 percent chance of no one knows what they are talking about. These preview magazines are a great way to gear up for a season, but few are a good buy for Cardinals fans. Most magazines go heavy on the BCS conferences and perform tiny summaries for schools like Ball State. Lindy’s magazine even misspelled quarterback Keith Wenning calling him Henning. If you want a magazine that is easy to digest I suggest Athlon, Sporting News, or USA Today. For me I want all the information I can get, especially on the MAC. The most info on the MAC and other small schools is in Phil Steele’s College Football Preview. His magazine is typically twice as thick compared to the others and every inch is filled with text. Photos are kept to a minimum to make room for more info. The pages are not exactly attractive to look at but the information makes up for it. Recently, a stat from Steele has been circulating about Ball State’s offensive line having the most career starts. Steele’s is the only magazine that would go into that sort of detail to produce that info. Which leads us to what Phil Steele thinks of your Cardinals and it is not encouraging. The offensive line stat is about as positive as it gets. He picked Ball State to finished dead last in the MAC West. So much for staying positive. Steele’s not alone as all the magazines I have seen placed the Cardinals dead last or in the bottom half of the MAC West. Anytime I see Eastern Michigan ahead of Ball State it can ruin a day. His main reason is the schedule as Steele labeled Ball State’s the 58th toughest in the nation. May not sound bad but that is the toughest of any MAC school as the favorites went cupcake (No. 121 Western Michigan, No. 122 Northern Illinois, and No. 123 Ohio). There are 124 teams in FBS so those three have an easy route while the Cardinals are taking on the gauntlet. So far that’s nothing personal but then Steele comes out with his defense numbers. 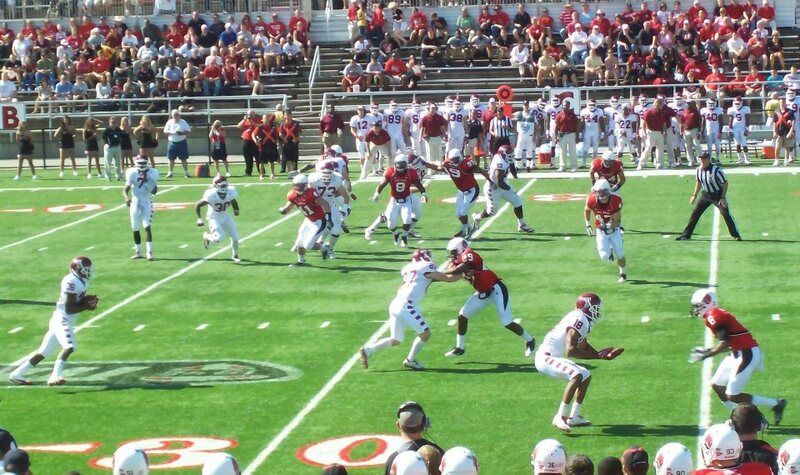 For the 2012 season he has Ball State’s defense ranked 122 out of 124. The only teams lower are Kansas and UAB. Even FCS schools that made the jump to FBS like UMass, UTSA, South Alabama, and Texas State were higher. Phil Steele would advise to dress warmly at Ball State games because he predicts the defense is going to get burned. Steele’s projections take into account the opponents a defense plays so it is not a straight up power ranking. He is projecting the Cardinals will surrender an average of over 34 points per game in 2012 given the level of competition. Steele labeled the Cardinals defensive line and defensive backs as 12th out of the 13 teams in the MAC. The linebackers were slightly better at 10th. If those rankings hold true even some local high schools could score a touchdown or two on Ball State let alone Western Michigan. Another shot to the Cardinals was how Steele valued the team’s recruiting class ranking it 12th in the MAC. Only ahead of Akron (1-11 last year) and behind UMass (5-6 in FCS). Offensive predictions were brighter with the story being the running back corps ranked third in the conference. Running back Jahwan Edwards made Steele’s second team All-MAC. I am not even sure if he is going to be the starter next season. Steele has the offensive line tied for second in the conference. Wenning was tied for fifth in MAC quarterbacks as I am sure Ball State fans will say he should be higher. The most discouraging number remained in Steele’s Power Poll of all 124 FBS schools. Ball State was No. 103 but only two teams on its schedule were lower. Through this logic Steele has Ball State headed for a 2-10 season in 2012. Someone find grandpa his blood pressure medicine now. Sure, these are not the things fans want to hear three months till the regular season but with all statistics there are flaws. Phil Steele is no different. The biggest hole is Steele’s philosophy of teams that win multiple close games the year before come up short in those contests following season. Since Ball State won five games by a touchdown or less in 2011 its 6-6 record was an exaggeration. Steele is big on patterns and his close win philosophy is a pattern, nothing more. This does not mean your Cardinals are a lock to follow the trend. Steele wrote that Ball State will have a stronger team this year. Having a stronger team may not translate into more wins but it rarely results in a 6-6 team going 2-10 or 4-8 a year later. Another note is that the MAC is one of the toughest conferences to predict. Steele may be the most accurate magazine but he had Ball State in the MAC basement last year too. Parody is the biggest trait in this conference where teams that make it to the championship game one year can have a losing season the next. Ball State fans have found that out the hard way. What I am taking away from Steele’s preview are the key issues that will define the conversation about Ball State going into the season. Can the Cardinals find enough winnable games in their schedule? Is the defense as bad as some are making it out to be? I previously demonstrated how last season’s negative statistics were fishy. Was the 2012 recruiting class really at the bottom of the MAC? Those are the big questions right now about this team. Typically it is the job of sports writers and bloggers to be critical but Phil Steele and other preview magazines beat me to the punch with the 2012 season. The good news is all this talk will not matter in three months. Now that is staying positive. Another good place to check out news on teams and going ons in non BCS conferences would be http://www.presnapread.com. Currently doing his own pre-season poll and had a good write up on Ball State with the dream season going 8-4 winning the MAC west and the nightmare season only at 2-10. Sadly, he also has them at 104. I’m looking forward to seeing the Cardinals shoot up in that poll though. I believe we can hit about 4-8 to 6-6 easy this year. If we were able to hang close with the big dogs in the MAC last year though, I see no reason why we can’t do that again this year with an improved offense. The D will get better as the season goes on which is what we will need.